For a very special post in our Valentine’s Day ‘Perfect Pairing, we feature a true ‘Bro-mance’ with brothers, Thomas and Alistair Wilson. 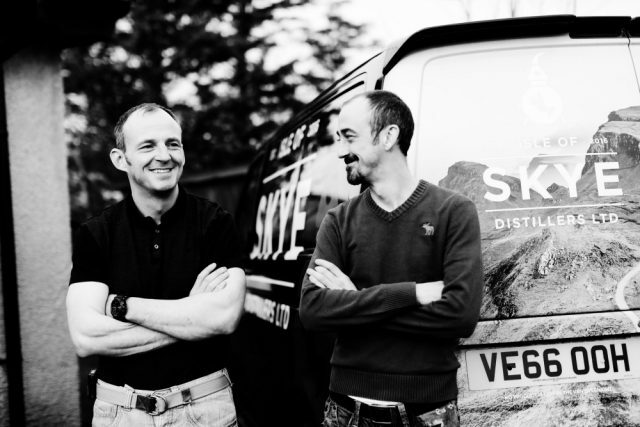 The pair were raised on Skye, a setting that gave them the passion and enthusiasm to set up the Isle of Skye’s very first gin distillery. Isle of Skye Distillery produces Misty Isle Gin and Tommy’s Gin – both gins crafted and reflective of the brother’s love of the local landscape. They have also launched the Skye Gin School, where visitors can enjoy a 3-hour gin-making experience. What started your gin journey together? What are your plans for valentines day and beyond?